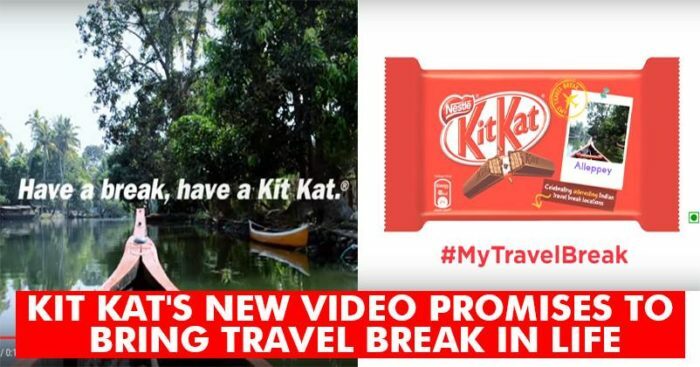 Nestle’s Kit Kat has always come up with innovative ideas for their campaigns. Either be it the dancing babies or some other quirky catchy lines or the airport girl rapping in a Kit Kat Break! This time they came up with ‘My Travel Break’ that is sure to give an experience of travel break to the audience. This is the first time ever Kit Kat packs have postcards attached from beautiful locations in India. Valley of Flower, Alleppey, Puducherry and Nubra Valley to name a few. Not only that but also they have filmed beautiful videos at these locations which indeed is a visual treat. There are in total four videos that are of 15 seconds each. The scenic beauty gives the viewers a virtual travelling pleasure and as in words of Kit Kat ‘A Kit Kat Break’!